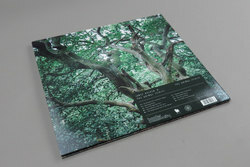 James Holden & The Animal Spirits - The Animal Spirits. Vinyl LP, CD. Bleep. 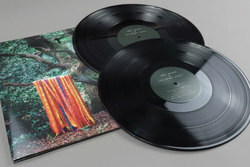 James Holden pieces together his newly founded group The Animal Spirits to spin us an album-length tail of hypnotic ritual musick and forest dwelling electronic transmissions via his Border Community imprint. 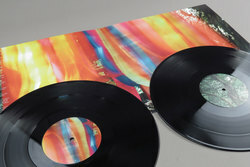 Joining the dots between his earlier more robust techno-ish work and the pagan interests that shadowed his 2013 epic The Inheritors, The Animal Spirits travels deep into areas masked by the leaves of kraut, psyche, and folk(tronica) to form an album that's reference points touch on everyone from Andy Votel to Amon Duul II. While his previous album outing, 2013s The Inheritors tread an epic path of pagan led ritual techno, here Holden expands his kraut-tinged synth-and-drum core of the live touring outfit to include Don Cherry and Pharoah Sanders. The inclusion of these legendary jazz leaders has helped refine and push Holden's self-titled spiritual jazz band into an important outfit pushing a cross breed of folk/trance music. Recorded in London in the long hot summer of summer 2016, Holden pulled in all of the Animal Spirit's to transmit the “psychic communication” of a group of people in a room jamming. With each track having been recorded in a single take, with no overdubs, no edits, the album really expresses Holden's creative yet self-imposed dogma. 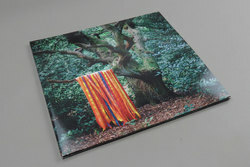 James Holden & The Animal Spirits have crafted an album of genre-twisting universal music, inherently fluid and alive in its quest to commandeer you into its world.